Richard Orval Pridemore was born on August 27, 1925 in Coleman, TX to George Washington Pridemore and Mamie Hipsher Pridemore. On February 2, 2019, the Lord said “Well done, my good and faithful servant”, receiving Richard into his eternal home. After attending Coleman schools, Richard proudly served the USA during WWII in the 8th Airforce as a B17 tailgunner flying 35 missions over Germany. He was awarded the five Oak Leaf Cluster Air Medal. Post military service, he attended Texas A&M University, graduating in 1951 with a degree in Agriculture. He was a proud member of the Association of Former Students. 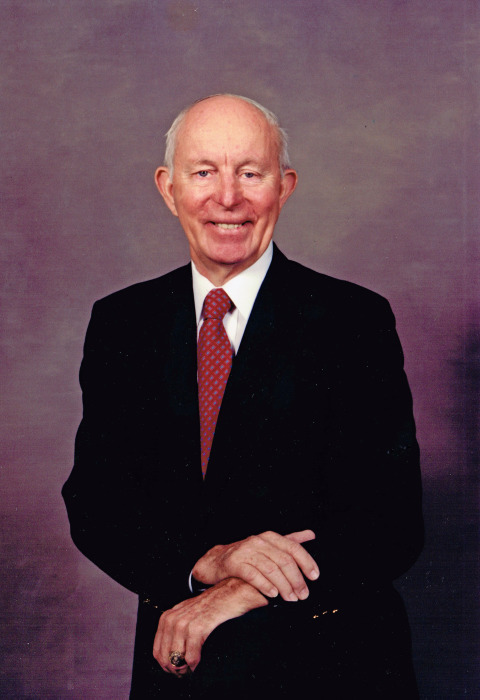 Richard’s early careers included work in the cotton, cattle, railroad, feed store, and oilfield supply industries. From 1958 until he retired in 1999, Richard worked with his brother and sister-in-law, Rupert and Pat Pridemore, at Builders’ Sales & Service. Richard served God, Family, and Country for his lifetime. He became a Christian at an early age and was a member of Sagamore Baptist Church. Richard was welcomed in heaven by his Lord and Savior, Jesus Christ, along with his parents, George and Mamie Pridemore; brothers – Ralph Pridemore, Rupert Pridemore, and George Sealy Pridemore; sisters – Odessa Lempeotis, Billie Foster, and Weida McKee; niece – Linda Wilburn; nephew – Rocky Pridemore; and many lifetime friends. He will be missed by his sister-in-law, Pat Pridemore; nephews – Skip Pridemore, Randy Pridemore, Chuck Foster, Rick Lempeotis, Jerry Foster, and Mark McKee; nieces - Suzanne Morton, Patricia Hannah, and Pam Poole; great nieces and nephews; great-great nieces and nephews; many other relatives, friends, and caregivers. Visitation and services will be held on Friday, February 8, 2019 at Shannon Rose Hill Chapel, 7301 East Lancaster, Fort Worth, Texas. Visitation will be held at 6 p.m. and Memorial at 7 p.m.
Graveside Service will be held at Coleman City Cemetery,1600 E 9th St, Coleman, TX 7683, on Saturday February 9th at 1pm.